Hi guys. After some help as I'm really stuck. It's that time of year when my broadband contract is up. I'm currently on BT Infinity 1, I'm getting 27MBPS down and 8MBPS up using the Home Hub 5 Type B. I did buy the new Smart Hub and got up to 30MBPS, my lines estimated max is 33MBPS, but I removed the Smart Hub as it's been hanging when it reboots every 8 to 10 days. So I've been looking at options, my exchange has TalkTalk and Sky LLU, I don't really want Sky, I was looking at the Now TV option but it's a bit expensive for what it is. I've looked at Idnet but they are also expensive and can slow you down in the evenings. I've looked at Plusnet but I really want more then the 2MBPS upload speed they offer, they won't let me have the higher speed package as my line won't go above 33. I've looked at John Lewis, what do people make of them? And then I've also looked at EE, but I'm not sure if they support G.INP or not? But are they a good performer with reliable speeds, how does their traffic management affect it on fibre? Out uses are email, internet, tons of streaming, Xbox One and PS4 so gaming and large file downloading with those demos and patches. Devices are iPads and iPhones, I have an old Mac laptop which I use now and then. I run everything on wireless, can't be doing with those cables haha, I use the Netgear Orbi WAP system though so I have no wireless issues, I do use and will use the ISP router for routing and DHCP though because the Orbi seems to perform a bit better as purely a WAP and not a router as well. Should I consider staying with BT and wait for new firmware to fix the Smart Hub? See if I can get a new deal off them? Don't want their TV service at all and I'm happy with pay as you go calls as the phones isn't used much. I am really stuck on which way to go? I can't afford AA prices, I've looked at Pulse8 but not really sure about them? What do you advise? I can't get Virgin either. Same answer as on TBB, out of the this list, Pulse8 or IDNet will undoubtedly give you better service than the rest. The only person I am aware of on IDNet who has posted about speed problems have had their issue fixed by IDNet. I've already given you chapter and verse on Pulse8. Maybe not quite in the same league as the the very best, but remarkedly good value for money and you will save a lot on phone bills even if you don't use the phone much. Our BT call costs were roughly £18 a quarter. Out last three months with Pulse8 is roughly £1. TalkTalk Business is worth a look but you are committing to a two year contract, which is something I wasn't willing to do. Zen are also still worth a look, although they do have more posting of speed issues than they used to and they are not competitive on phones, so you would want to keep your phone line with BT or migrate the phone to someone like Pulse8. Did you? Thanks. Zen again are too expensive and will cost me more then Idnet. I don't think Idnet et el are worth it as my line only gets 33mbps, and the chap,who had issues with Idnet I never saw state it was fixed, the last I saw were speed tests showing slow downs in the evenings? Don't really want to deal with TT directly, but with Pulse8 is your data at risk? I ask as I believe it was them who had customers data stolen? I really have an issue with that. Are all your more personal details and bank details kept with Pulse8 and not TTB? Also what's EE like? If my line isn't the best, is BT's G.INP a better idea for performance over an LLU provider? With FTTC, the LLU providers use the same BT hardware as everyone else, and this includes the G.Inp availability. The only difference is in their backhaul, which is connected via a GEA link cable in the exchange. I was thinking of the backhauls. But yes you are right they use the same kit. But they don't all support G.INP with their routers do they? From what I can tell EEs brightbox doesn't does it? I don't know the specific answer to that question, but I would be very surprised if any recent ISP-supplied modem didn't conform to BT SIN 498, which includes G.Inp capability. If you want to do a quick comparison of the major suppliers, the TBB main site has an ISP comparison facility, based on the views of TBB members. It's also worth checking out the reviews on ISPReview. Pulse8 provide the accounting and first line support services, so your personal and bank information is held with them. I've not heard of them having any customer's data stolen, but if you want to check that out ring them up and ask to speak to Adam, the owner. He is a very straight guy and will fess up if there has ever been an issue. In terms of IDNet, I think the person you are talking about had a parallel thread running on IDNetters, which is where he siad it was fixed. I may have got the wrong person, so worth checking it out. Personally I wouldn't touch EE with a barge pole. If you want decent service, check out the top players on TBB and ISPReviews, which has reviews of the smaller players. I would look at Uno and Aquiss, rather than many of the big players you are mentioning. Just remeber any ISP cannot guarantee, you top speeds and any slowdowns may not be down to the ISP itself. It could just as easily be congestion at cabinet level, which will be the same whichever ISP you go with. A&A will fight harder than anybody for you, but you will be much better with Aquiss, IDNet, Pulse8 or Uno than most of the mass market players if you do have issues in my view. That's not a bad option if you can negotiate hard and blag a good deal on a new 12 month contract. Plusnet - agreed, 2 Mbps upload speed just isn't enough when your line is capable of more. AFAIK, EE don't do any traffic management on their fibre packages but they block port 25 to "prevent spam". If you are happy using ISP supplied routers, you could consider Sky or Vodafone as well. But beware, others have reported various issues with the supplied Vodafone router. So YMMV. John Lewis - they are a Plusnet reseller. You might be stuck with 2 Mbps upload speed if you sign up to their standard fibre package. Traffic prioritisation also applies, probably the same system used by Plusnet (which is not that bad, to be fair). I looked at Idneters and it's not a very active forum! 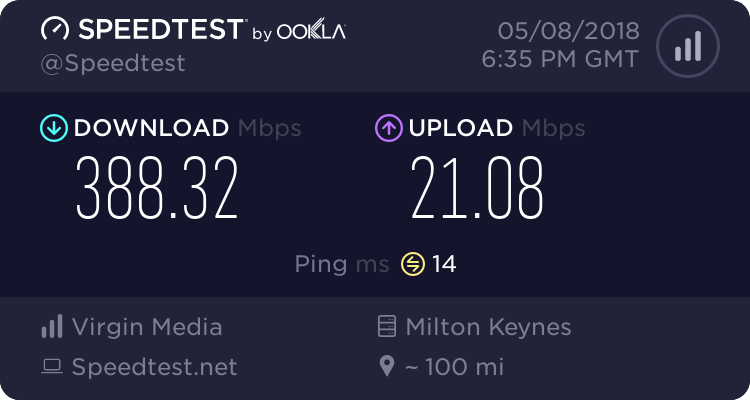 All the other too providers bar Pulse8 are too expensive for what they offer really, if my line could get over 80mbps then it would be different I think. Otherwise your paying for a service you may never need for the entire contract length. looking at the test matrix on TBB TalkTalk perform poorly, EE very poorly, BT are best then Plusnet. And I take user reviews with a pinch of salt as the big players will have a microscopic catchment of users actually post reviews, and most will be complainers anyway. Don't want Sky or TalkTalk directly, with John Lewis you can actually get the upto 70mbps package that Plusnet refuse to sell you!! It's about 36 a month, 4 quid more then the upto 38mbps with the added bonus of upto 20mbps uploads. Yeah thinking of giving BT a call, one bonus with BT, Plusnet and EE is you can pay like me rental in advance for the contract length so save a bit and don't have to worry about line rental price increases. Pulse8 has the advantage of being a monthly contract. Hmm I think what I'll do is settle to compare Pulse8, John Lewis and BT. If the Smart Hub was more stable I could see a constant 30mbps on my line, so with a couple of firmware updates it may be worth staying or going to John Lewis. As others have said, G.INP will work regardless of ISP as its down to Openreach. I appreciate you don't want a 2Mbps upload (Plusnet etc.) but there is no point paying for a 80Mbps service if your line is only capable of 33Mbps especially if price is a consideration. If I was you, I would call BT Customer Options team on 0800 800 030 and see what you can negotiate as a first step. Would also be interesting to see what www.bt.com/myoffer states though they often offer a better deal via telephone. I have no doubt that BT are continuing to work on the Smart Hub firmware.. If you stay with BT there is nothing stopping you using your own router/modem, you don't have to use the BT supplied Hub. That BT offers website had one offer, which is the exact same as EEs Fibre upto 38mbps package which EE charge 28 a month for on an 18 month contract, BTs offer is for 39 a month for a 24 month contract.... yeah that's more expensive then John Lewis up to 70mbps! So I'll give them a call and see what they offer. Well I called BT and took their renewell offer, it's pretty much the exact same as everyone else was offering but with BT Sport free for another year, and it's a 12 month contract. £19 a month with line rental paid in advance, weekend calls and caller display. With so much going on with Ofcom etc I'll see what happens next year, and see if Plusnet improves its response times to customers. If Plusnet offers 10mbps upload and better call and case wait times I'll move to them next year. EE is cheaper but they only offer an 18 month contract. Frankly I dont see much difference between any ISPs using BT infrastructure to get FTTC, yes there are small differences on price but not much else. Customer service varies and none are excellent especially if you are using BTOR to get the actual service over copper to your house.. I'm with TalkTalk and yes I've just renewed for 18 months, I simply could not find a more cost effective deal for FTTC. Hopefully when this expires Virgin fibre will be available (see other thread about Thanet) which will provide some real competition and FTTP. Whoever you use for FTTC you are stuck with BTOR and all that it entails (which is not great). I've not had issues with TT which did not get resolved (where BTOR allowed or managed to do their job reasonably, others have been an issue where BTOR are intransigent).